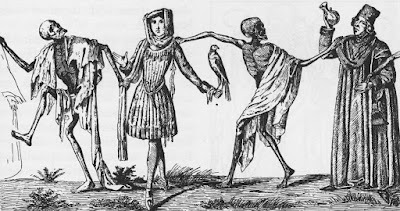 Oral interpretation of Medieval Death Poem (click on link for text). Navajo Peyote Songs Volume 1, by Kevin Lewis, is a 1990 release by Indian Sounds that I picked up on cassette while visiting the Little Bighorn Battlefield the same year (then The Custer Battlefield). 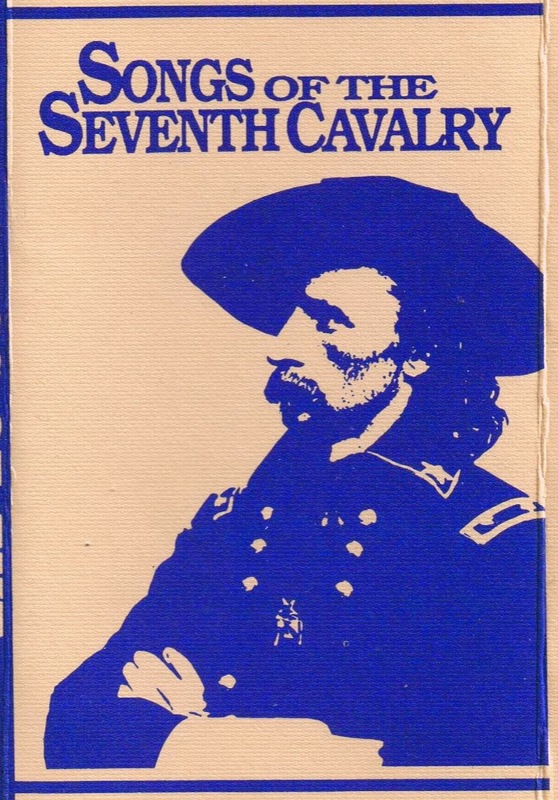 While I don’t understand Navajo, and they are not indigenous to the Dakotas, I found the recording a nice counterpoint to The Songs of the Seventh Cavalry. The rhythmic chanting provides a meditative space to immerse oneself in another culture. The full recording is provided below. Lewis, according to MTV.com, is of Navajo/Cherokee heritage and a medicine man trained to sing peyote songs by his grandfather Bud Lewis, who lived to 116 years. As a result, the lineage of tradition from the Old West to our ears is only one generation removed from that era. Herschel Kaulity, of Cheyenne/Kiowa heritage, provides the drumming. No titles or times are provided for the songs, which allow the listener to get lost in music that feels more like an expression of nature than the typical over-produced commercial effort. The one break in the spiritual tone comes about 17 minutes into the recording when Lewis, caught up the ritual, begins chanting “Happy Birthday” over and over. At that point, the listener realizes this dude must totally be tripping. Well, they’re not called peyote songs for nothing! 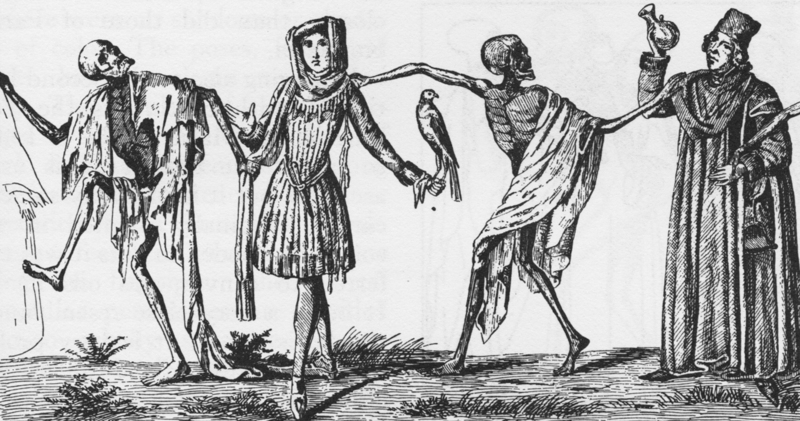 "When Death Comes." Inmate art by Michael A. Nieves, July 22, 1994. Author’s collection. In order to get a fuller picture of the lives of those who lived before us, listening to the popular music of the era reveals much about their hopes and fears. 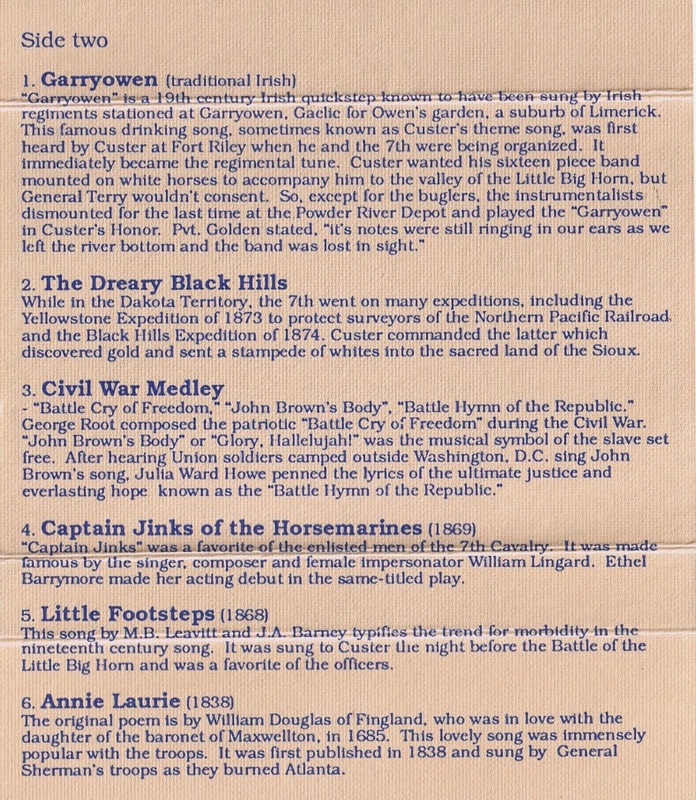 Songs of the Seventh Cavalry, a 1989 release funded by The Bismarck Tribune for the benefit of the Fort Abraham Lincoln Foundation, features music that was sung by the soldiers of the Seventh Cavalry during the post-Civil War period through the Plains Indian Wars. 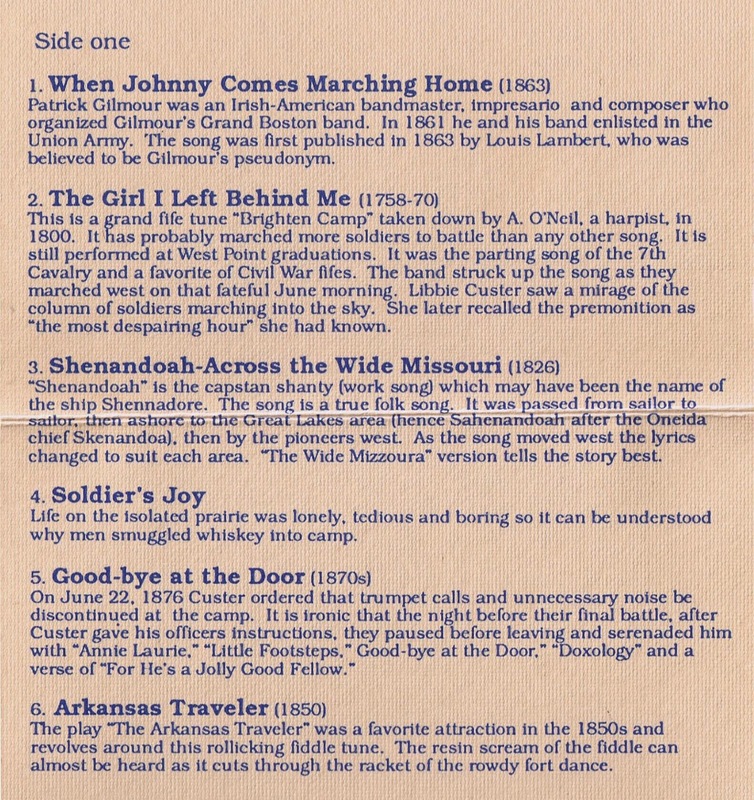 Of particular interest, some of these songs were sung to General George Custer by his officers on the eve of his infamous Last Stand. For more information on that momentous event, visit the Aeolus 13 Umbra article The Mystery of the Little Bighorn Battlefield.